Expedition National Park is part of the Central Queensland Sandstone Belt. It consists of three sections: Robinson Gorge, Lonesmoe and Beilba. Most of the park is covered by dry eucalypt forest. Aboriginal people have lived in this area for thousands of years, leaving behind stencil art and other sacred sites. Ludwig Leichhardt passed through in 1844 during his journey to Port Essington near Darwin. 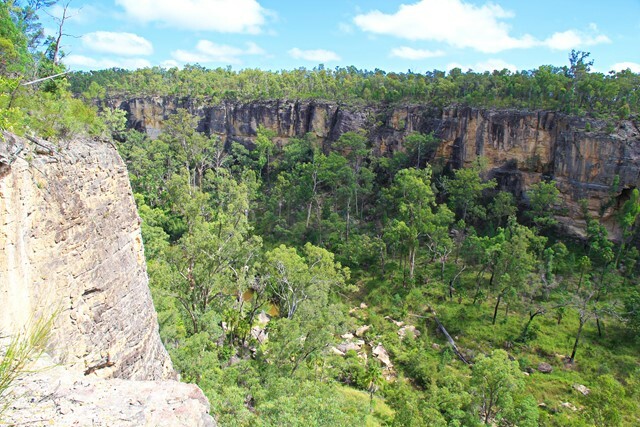 Robinson Gorge on the Expedition Range between Taroom and Rolleston is one of the main features. The gorge begins as a broad shallow basin in the north and narrows towards its southern end. The gorge is 14km long with sandstone cliffs up to 100m high. The Lonesome section is a former grazing property and lies along the edge of the Carnarvon range. It includes spectacular panoramic views of Arcadia Valley, Dawson River, the Carnarvon ranges and mountain spurs. It also includes the impressive sandstone "Candlesticks". The Beilba section is also on the Carnarvon range border and preserves an important corridor between the Dawson River and Baffle Creek. Wildflowers bloom in the late winter and spring including grevilleas, flannel flowers, acacias, and pea flowers. 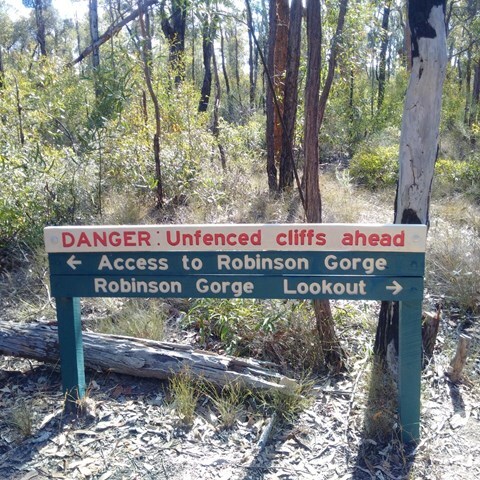 Robinson Gorge is 90km north-west of Taroom along gravel road. The last 16km is only suitable for 4WD vehicles. 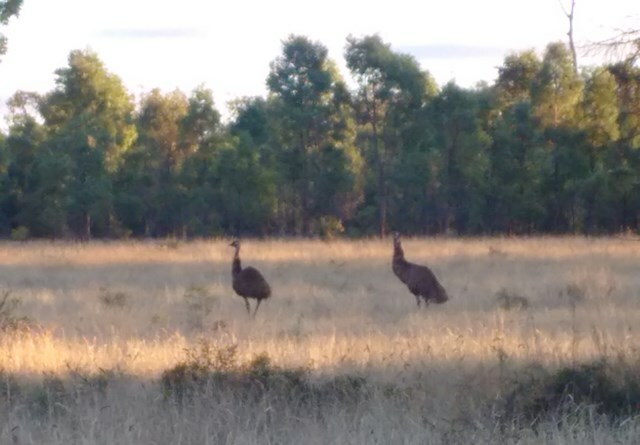 Details are found here: https://www.npsr.qld.gov.au/parks/expedition/about.html. From Injune travel north for 37km on the Carnarvon Developmental Road and turn right onto the Arcadia Velley Access Road. Drive 18km to Lonesome (including 4km of gravel). The route is suitable for all vehicle types but may become slippery during wet weather. From Injune travel north for 26km on the Carnarvon Development Road. Turn right onto Fairview Road then left onto Beilba Road to the park (30km gravel road). 4WD vehicles are recommended and travel should only be attempted during dry weather. There is no access for larger vehicles including caravans and buses. 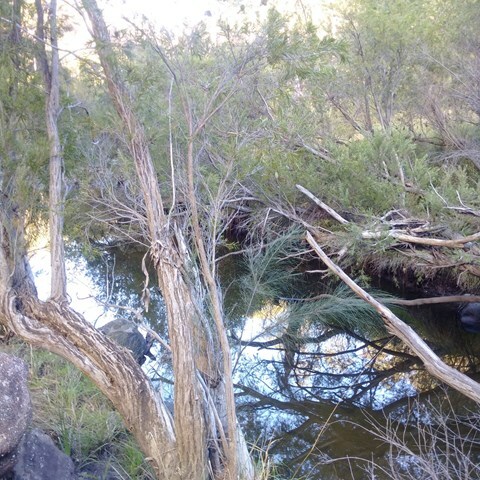 An easy walk through open woodland to look out over the "cattle dip" - a spectacular permanent, aptly named water hole in Robinson Gorge. No access from the lookout to the water hole without climbing gear. Expedition National Park - Lonesome Section. Good views of Arcadia Valley to the north. Remote walk. This walk turns off just before the gorge lookout and takes you down to the floor of the gorge. This part of the walk is very steep but some helpful person has chiselled a few small steps into the rocks to make the descent easier. Once at the bottom you can spend as long as you like hiking in either direction up and the gorge. 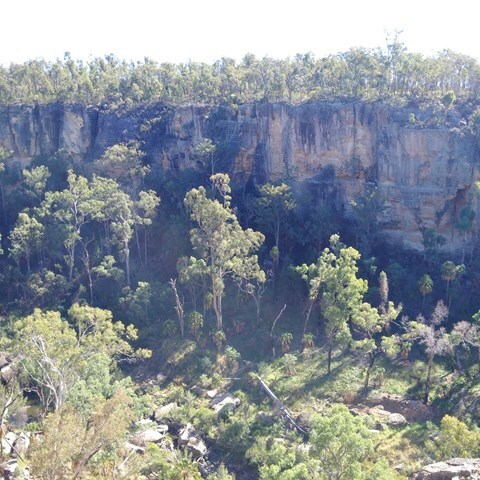 An easy walk from Starkvale camping ground, through open woodland on a well-defined track to get views of the sheer sandstone cliffs of Robinson Gorge. Look down into the gorge from unfenced cliff edges - care is needed. This walk begins at Starkvale camping area and goes through open woodland with a well-defined trail. The first part of the walk is easy with a slight incline which changes once you get to the start of the climb up Shepherds Peak. Parts of this climb are very steep although there are some steps on the steeper parts but a fair level of fitness is required to get to the top. Care should be taken once at the top as the edges of the cliffs are unfenced. But the panoramic view of the gorge is breathtaking, especially early in the morning.